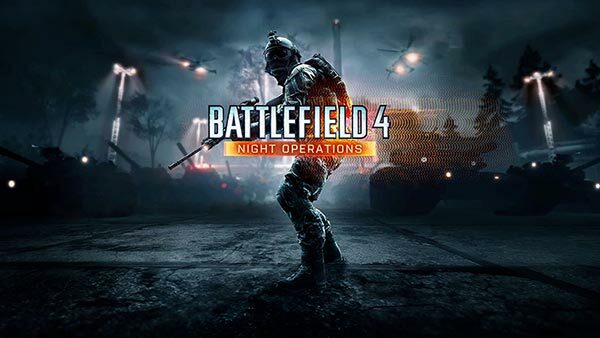 Battlefield 4 'Night Ops' DLC Available Now, Exclusive ..
Battlefield 4: Night Ops, the free DLC pack for Battlefield 4 that features the new night map Zavod: Graveyard Shift, new Gun Master mode and many of other improvements, is now available on Xbox 360, Xbox One, PlayStation 4, PS3 and PC. Battlefield 4 Night Operations, also known as Night Ops, includes the new map Zavod: Graveyard Shift, a night version of Zavod 311. When the map is shrouded in darkness the gameplay shifts and provides a tactical advantage to the players that utilize scopes for night vision and thermal imaging or use gadgets that reveal the enemy position when the visibility is impaired. Take your first look at "Night Operations" (Night Ops) featuring the new map "Zavod: Graveyard Shift". BF4 Nights Ops is available right now alongside the September 2015 Patch, which includes tweaks to Battlefield 4's spotting mechanics, sound system, weapon balancing tweaks, a public server team balancer and more improvements. Looking for other Battlefield 4 Xbox One Players? Introduce yourself in the XONEHQ forums and come and join our Xbox Live games. For more information on Battlefield 4: Night Operations or Battlefield 4, check out all of our Xbox One coverage via the Xbox One Games database and don't forget to follow us on Twitter, Google+, YouTube and Facebook for all of the latest Xbox One news, upcoming Xbox One games, release dates, gameplay videos and trailers, Xbox One Screenshots, Xbox One Achievements and loads more. Battlefield 4 'Night Ops' DLC Available Now, Exclusive..